The Bushranger chainsaw range is lightweight, comfortable to use, compact and easy to start. 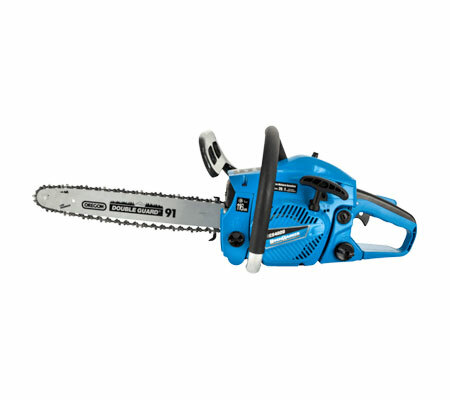 The Bushranger CS4020 chainsaw is a great unit for around the home or small acreage properties. Large starter handle is easy to grab, hold and use. The interlock choke and primer bulb make for easier starting. The CS4020 is great value and full of features.